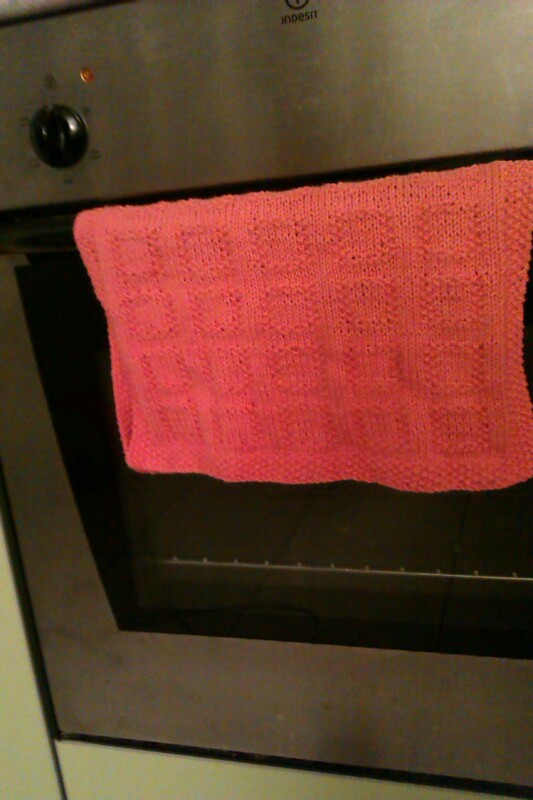 So I have been into dishclothes and towels lately. I felt like I needed some thoughtless knitting with immediate results, and these projects were just perfect. And still sticking to Mason-Dixon. I made the moss grid hand towel. Messed up the pattern a couple of times, with no visual effect, luckily. I only did 9 repeats before running out of patience and used about 1 1/4 ball of yarn. 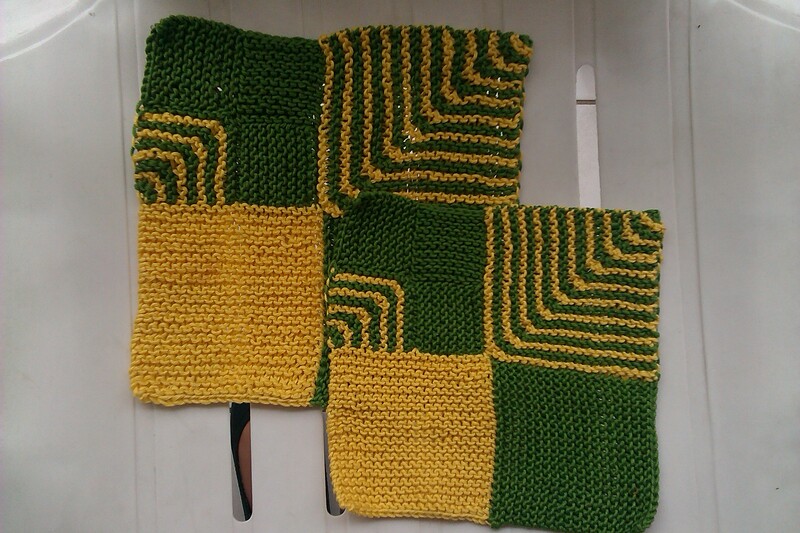 I also produced three comfort squares. The most square one was th 3.0mm needles, but still my mitered square was not square enough, and I don’t think going down one more needle size would be a good idea. I always wanted to make a blanket of mitered squares, but now I’m having second thoughts. I guess when I get there, I’d just have to swatch and decide. 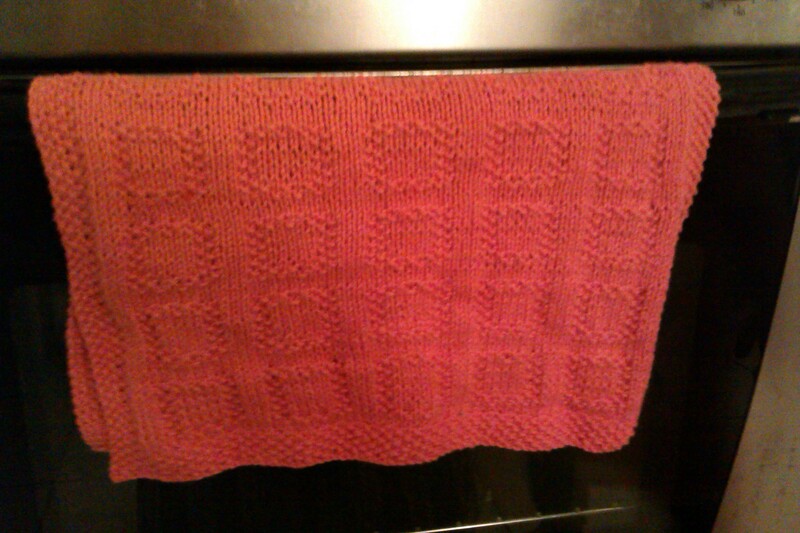 Separator image Posted in My kniting & crochet and tagged with dish towel, dishcloth, Mason Dixon.